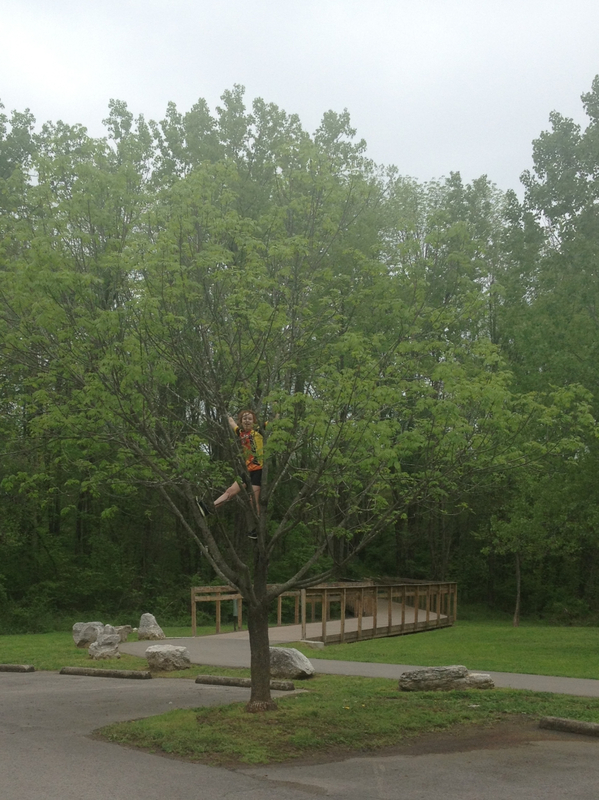 If the playgrounds aren't enough, the kiddos may find other things to do. The trail is officially six miles of paved paths. Exploring each section and completing the out and back will total 10-11 miles. 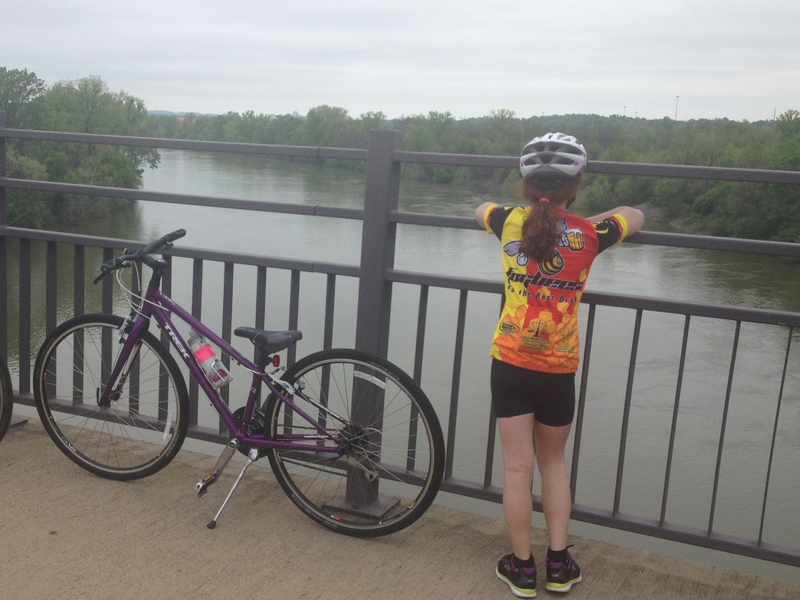 The trails are wide, paved paths and virtually flat within Shelby Bottoms. Wet weather may create slick bridges and paths. Mild TN winters allow riding on most days, but trails should be avoided in icy weather. Leashes must be six feet or less in length. Located just across the river from Nashville’s tourist center and business district, Shelby Bottoms Greenway has the feel of the nature preserve it is. The essentially flat terrain is also somewhat unique amidst the naturally rolling Middle Tennessee landscape. Officially listed by the city as “over five miles of paved trails”, the meandering paths do not loop so exploring every spur accumulates 10-11 miles within Shelby Bottoms. If that’s not enough, there are additional paved paths in the adjacent Shelby Park winding through and around the ball fields, playground, and dog park. Shelby Bottoms Greenway also connects to the Stones River Greenway via the Cumberland Pedestrian Bridge providing roughly 22 miles of greenways round trip from Shelby Bottoms Nature Center to Percy Priest Dam. The remote feel and absence of road crossings within the park combined with wide paved paths and well-maintained bridges make Shelby Bottoms a rare find. Overhanging trees provide welcome shade and ambiance. Wet bridges may be slick, but path debris is regularly cleared by park personnel. 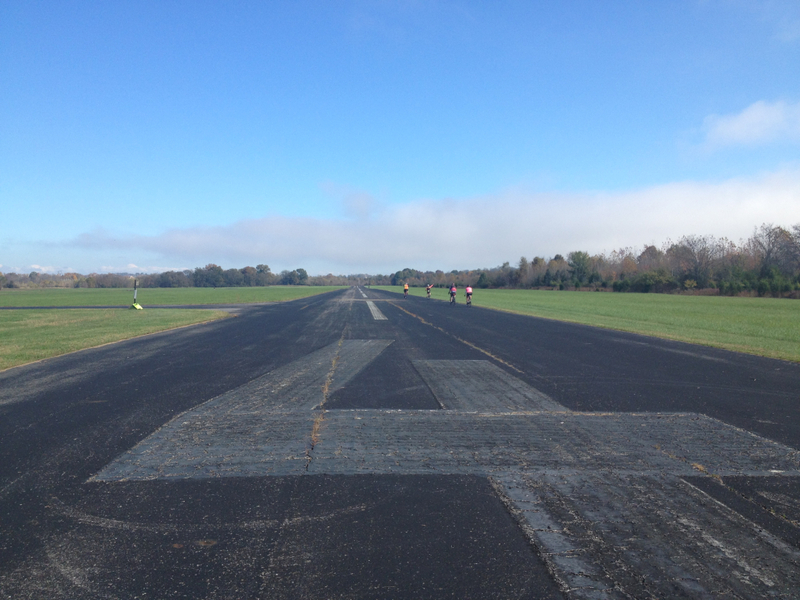 The old Cornelia Fort Airpark provides the unusual opportunity to ride along a runway. Referencing the trail map posted at the main trail head is recommended as signs within the park may be inadequate. For those wanting to see the city and add miles to the outing, follow the road back out of Shelby Park and pick up the protected bike lane to the Shelby Street Pedestrian Bridge, 2.7 miles from the Nature Center one way. The exit road is rather narrow and busy with vehicular traffic, but the 20 mph speed limit and frequent use by cyclists have accustomed motorists to sharing the space. Cyclists comfortable with suburban riding should find this roughly one mile stretch manageable. 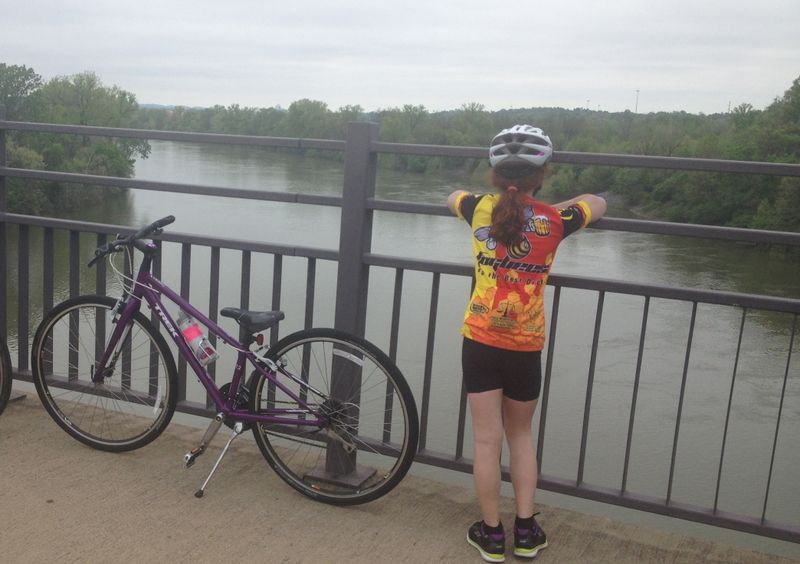 Once over the bridge, it’s only two blocks to Riverfront Park and the Cumberland River Greenway. Riders looking to avoid vehicular traffic while riding in an idyllic setting, but content to ride at a slower pace, and share the path with dogs on leashes, kids on tricycles, walkers, joggers, strollers, and cyclist of all types. Plan to stop and smell the roses (or honeysuckle). This is a safe place to bring your kids to ride provided they are comfortable moving to one side of the path to pass other users and aren’t unnerved by faster passing cyclists. Adequate parking is located behind the Nature Center, right off the trail. The Nature Center is not clearly visible from the road so it’s necessary to watch the signs. The entrance runs under the elevated train bridge providing a helpful landmark. Athletic events create heavy traffic and cause congestion in the park during the respective seasons but shouldn’t affect trail parking. An alternate trailhead at Forrest Green Drive also offers parking in a quieter neighborhood with less risk of congestion on or off the trail. Trail speed limit is 15mph; however, much lower speeds are recommended on most sections of the trail due to limited visibility and heavy trail use. Bikes are only allowed on the paved paths. Restrooms are located at the Nature Center and water bottles can be refilled at the main trail head. No facilities are along the trails within Shelby Bottoms.